There’s nothing quite like waking up to the smell of warm pastries baking away in the oven. Among the most common of these is the infinitely variable muffin. Individually wrapped and great for on-the-go breakfasts, tender and crumbly muffins require a little bit of attention when mixing together a batter, especially when it’s gluten free. 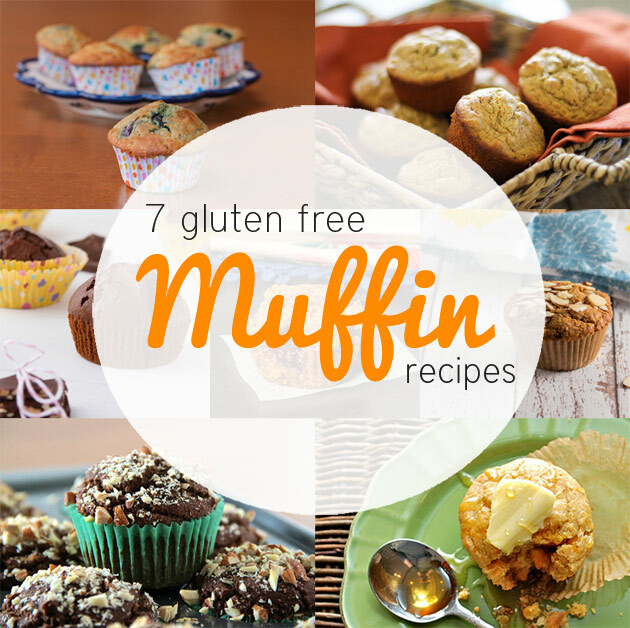 Whether you like classic blueberry and banana nut or creative twists like some of the ones below, this collection of 9 gluten free muffin recipes will make your mornings just a little bit better. What is your favorite type of muffin? Tell us in the comments below and leave a link to your favorite recipe if you have it! I see that most recipes use rice flour or a combo of flours. I have been using Robin Hood Gluten free flour but it makes a very heavy dense muffin with a flat taste. So I am anxious to use the rice flour in my recipes. I found the same thing with the Robin Hood gluten free flour as CJ did. It was very heavy …. I also found that using the rice flour didn’t work well because I needed more of it and it didn’t feel and roll the same as regular flour. Any suggestions? @disqus_o0DVEFFHNQ:disqus I might recommend trying a different brand of all purpose gluten free flours. I believe King Arthur and Bob’s Red Mill have ones that people seem to like. Since every blend is different, every brand is not created equal. I make my own flour blend but you can also order from Authentic Foods. Their flours are super-fine and are the best on the market. Nice light and moist crumb every time. You can either purchase convenient pre-mixed blends or blend your own. I don’t use anything but AF! The link above is broken. Try this instead.